Powerful. Commanding. Contemporary. 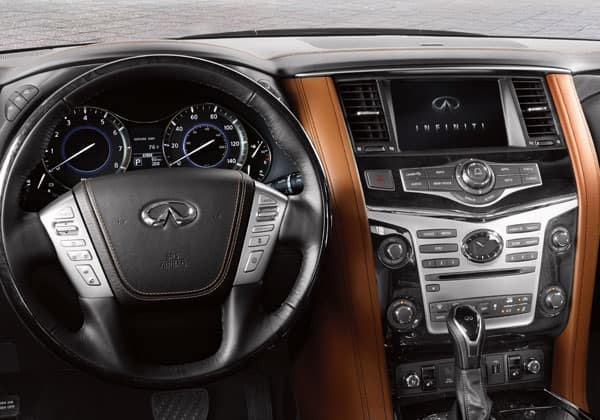 The 2019 INFINITI QX80 for sale in Merrillville, IN empowers inclusive luxury as the new symbol of success. Experience ample on-road performance and expand your awareness with contemporary features for an extraordinary excursion. The daring design and agile performance of the 2019 INFINITI QX80 now available at Berman INFINITI of Merrillville! 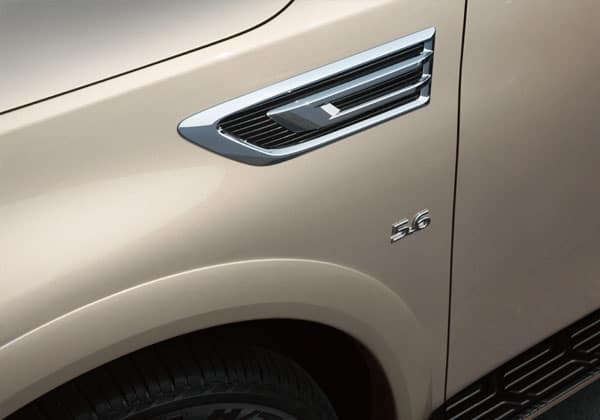 The 2019 QX80 features a superior presence with powerful muscularity, enhanced horizontal movement and other signature design elements. With edgy, thin tail lights, straight character lines for bodywork and light units, and a raised lower bumper section, the QX80 appears wider, taller and more athletic than its predecessor. The 2019 INFINITI QX80’s available Hydraulic Body Motion Control system detects force and distributes pressure to the correct side of the suspension. Ultimately this makes for a smoother and more enjoyable ride. 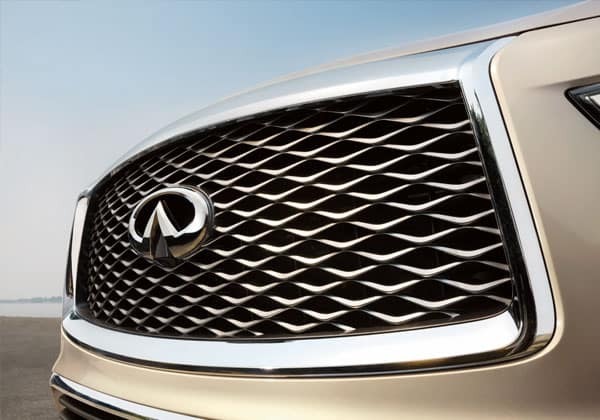 The QX80’s engine is both efficient and powerful. The 5.6-liter V8 generates 400 horsepower, 413 lb-ft of torque, delivers an impressive maximum 8,500lb towing capacity. The QX80 automatically adjusts for better traction no matter the road conditions. The available All-Mode 4WD detects and adjusts torque between front and rear wheels to better maintain grip. 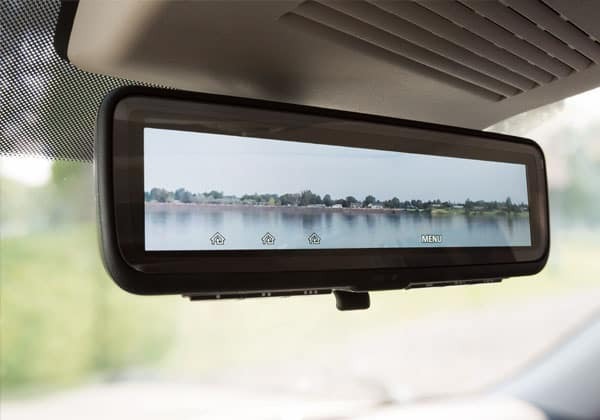 A wide range of technologies support the overall safety features of the QX80 informing drivers of surroundings and helping them steer clear of hazards. The most prominent safety features include standard Forward Emergency Braking with Pedestrian Detection and Predictive Forward Collision Warning. Audio and visual cues alert the driver of potential collisions. Also featured are Backup Collision Intervention, Intelligent Cruise Control (Full-Speed Range), Blind Spot Warning and Intervention, Lane Departure Warning and Prevention and Distance Control Assist. There’s simply no shortage of safety features on the all-new QX80. 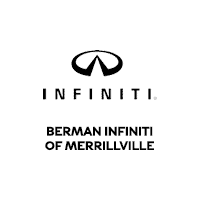 You can visit Berman INFINITI Merrillville at 1794 W 81st Ave in Merrillville, IN to see the 2019 INFINITI QX80. You can contact us to schedule an appointment, or get directions below!